I must confess that this year I have struggled to get into the festive spirit. Whilst I love Christmas and having young children usually injects that bit of seasonal magic, this year I have been decidedly lacking in the festive feeling. 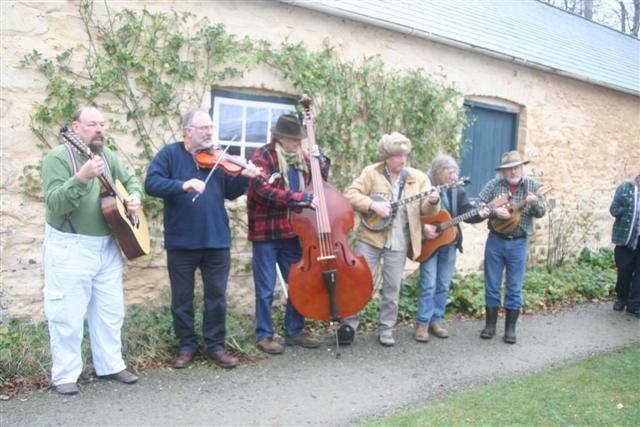 Anyway in an attempt to trigger a bit of festive sparkle in my inner being I went off to the annual Christmas Fair at my local National Trust property, Llanerchaeron. The promise of mince pies and mulled wine sounded like just the thing to get me in the festive mood. As I pottered around the food and craft stalls with the smell of mulled wine and festive spices wafting past me it certainly was beginning to feel like Christmas. 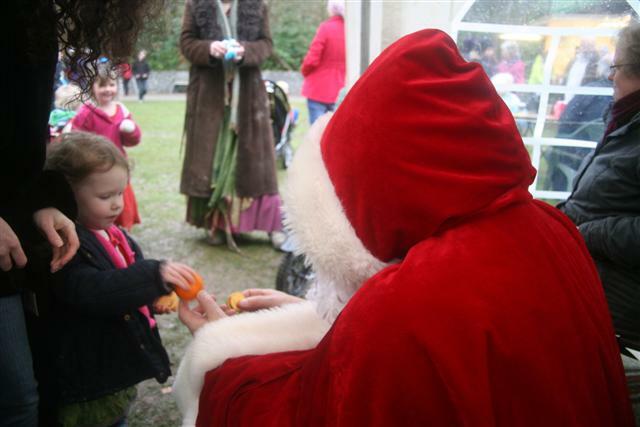 The girls enjoyed seeing Santa and his gifts of a clementine and chocolate coins were welcomed and devoured gladly. However, as I wandered amongst the stalls I couldn’t help feeling that it was yet more Christmas commercialism and that this was exactly the problem with all Christmas events. Where were the carol singers, the roast chestnuts and Christmas spirit that didn’t involve parting with copious amounts of cash? I really do feel that Christmas fairs in general need to look at injecting a little festive feeling otherwise they just become outdoor shopping centres. H aving said all of that a brisk walk around the walled garden and orchard with its wintry essence, finally filled me with some festive cheer and the house was beautifully decorated with holly, ivy and mistletoe. In the absence of carol singers I did find a band playing and watching my girls gig with great enthusiasm was the highlight of the day. It was a lovely afternoon out and it is certain that the girls had a lovely time. It must have done something as I am now ready to erect the Christmas tree and deck the halls with bells and holly, or at least a garland and some tinsel. Earlier in the week I must admit to enjoying a little Christmas magic when I travelled down to Tunbridge Wells to film a scene for a Christmas programme for BBC1. 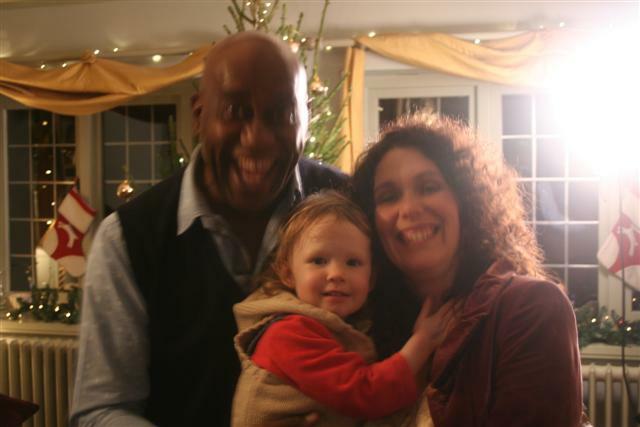 I was delighted to be working alongside the wonderful Ainsley Harriot, who took a liking to little Libby and it seems the feeling was mutual. I got to meet Len Goodman and Ricky Tomlinson and on a set that was decorated with all things Christmas I did feel rather excited to be part of it all. 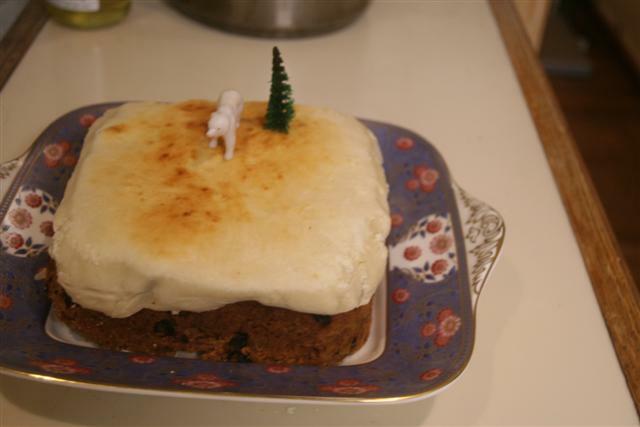 My frugal Christmas cake made to a WWII recipe survived the journey and got featured on set ; it was even admired by Ainsley and if that’s not a seal of approval, well then I don’t know what is. Well with a little Christmas spirit brewing inside me, I’m off to get a Christmas tree and find the decorations out of the loft.